Sony Xperia is for all those who believe in the possibilities of Android device. There’s a world of wonder beyond our screens, which is changing how people and devices connect, for this reason Sony has being dedicated to opening up new ways to communicate – so you can live more creatively than ever before. 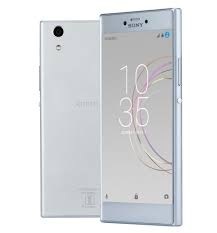 Therefore Sony decide to make it exclusive this season for lovers of Sony xperia with Smooth design, and Stand out performance from their newly lunched Sony Xperia R1 and R1 plus, uncluttered design which is meant to fit seamlessly into your life. The Sony Xperia R1 android comes with soft rounded form and also a loop surface which includes 2.5D curved glass making it comfortable to handle even when stressed out, while the stunning colors are designed to suit your life. According to the manufacturers specification Sony Xperia R1 is creatively designed with pleasure when it come to handling the device. With its smooth rounded frame, and 2.5D curved glass it fits every moment and feels great in your hand. The camera technology in the sony xperia R1 and R1 plus makes every moment magical, offering a 13Mega pixel predictive autofocus camera at hand, you’re always ready to capture life as it happens both in vivid, and lifelike colors. What more can anyone want this selfie season?. You don’t have to miss the opportunity to take the photos with your friends and relatives. With 8Mega Pixel wide angle front camera, you take wider selfies with your friends easily. Talking about processor Sony have given you the performance you need generally integrated in one piece. Xperia R1 is powered by the new snapdragon 430 for faster downloads and uploads, stunning graphics and photos. No Lag, No hassle. Just smooth performance. The Xperia R1 comes equipped with a 5.2″ TFT LCD display with a screen resolution of 1,280 x 720 Sony R1 is designed with an Impressive display so you can view it all, in a glorious detail. Xperia R1 features, a high quality 13.2 CM display and narrow borders, so you can view and share everything. The sony xperia R1 is perfectly designed for those who do, as long as Indian lifestyle is concern. View specifications below.